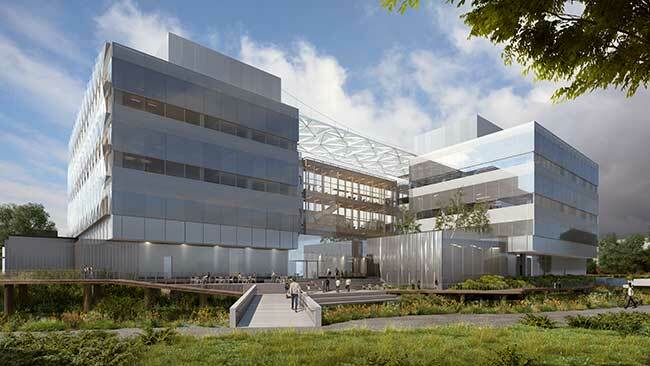 The University of Oregon today unveiled architectural renderings of the Phil and Penny Knight Campus for Accelerating Scientific Impact, revealing a singular design where impact and curiosity will come to life. New illustrations* and three-dimensional models of cutting-edge labs and open spaces mark the most tangible expressions yet of the $1 billion vision, focused on dramatically accelerating the process of turning scientific discoveries into societal benefits. 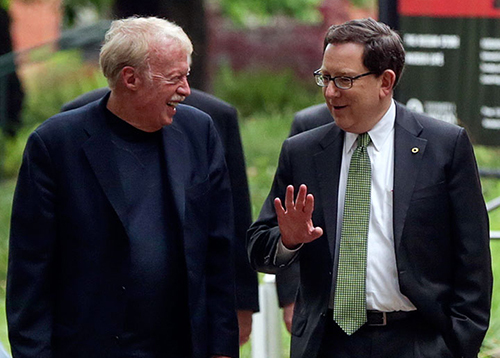 Launched in 2016, the ambitious effort to rethink research, science education and innovation is made possible by a $500 million lead gift from Penny and Phil Knight, who earned a business degree at the UO in 1959, and augmented with $70 million in state bonds. 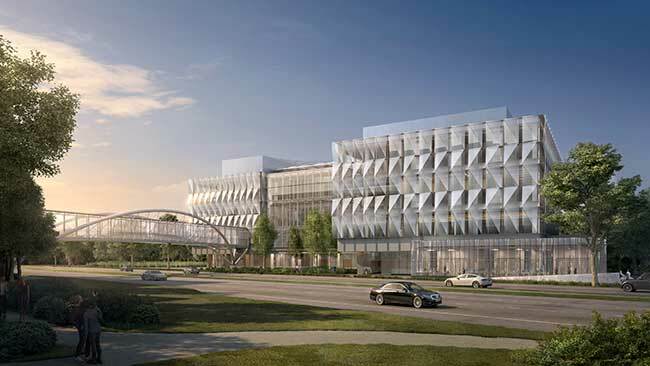 Groundbreaking is scheduled for early March on the $225 million, 160,000-square-foot first phase, along the north side of Franklin Boulevard between Onyx Street and Riverfront Parkway. 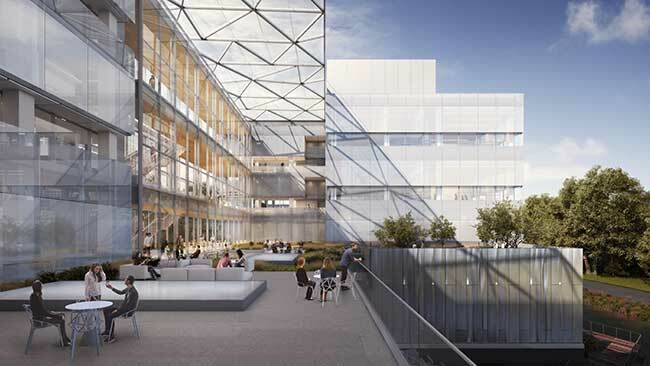 Researchers and students are scheduled to move into the world-class facilities in early 2020. 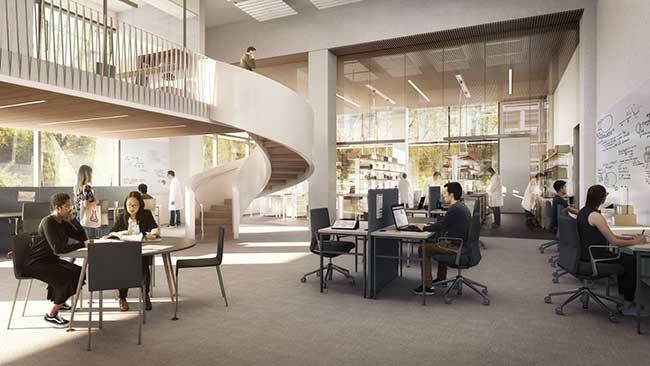 Mezzanines, meetings rooms and inviting public spaces will encourage collaboration among researchers from a wide variety of fields. The campus will attract top researchers in fields new to the UO — such as bio-engineers, computational scientists and immunologists — who will join forces with established UO researchers in the life, physical and prevention sciences, as well as those in management and communications. The idea for the Knight Campus started with UO faculty members, given fertile ground by Schill, who challenged them first to dream big and then to make those dreams a reality. The mission of the campus centers around the UO’s interdisciplinary tradition, which dates back to the 1950s in molecular biology. That interdisciplinary approach fueled the design process as well. 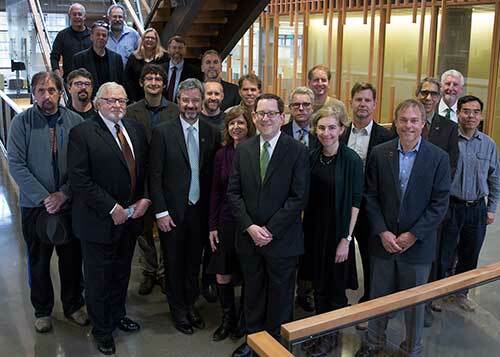 A building user group, consisting of researchers from fields ranging from architecture and prevention science to physics and biochemistry, worked with campus experts in design and construction and internationally prominent architectural firms to optimize the designs for research. The unique designs support unique science, exactly what the project team of Bora Architects of Portland and Ennead Architects of New York strived to create. The firms, selected as a team, boast combined strengths to support the design of visionary, inspiring, world-class facilities. 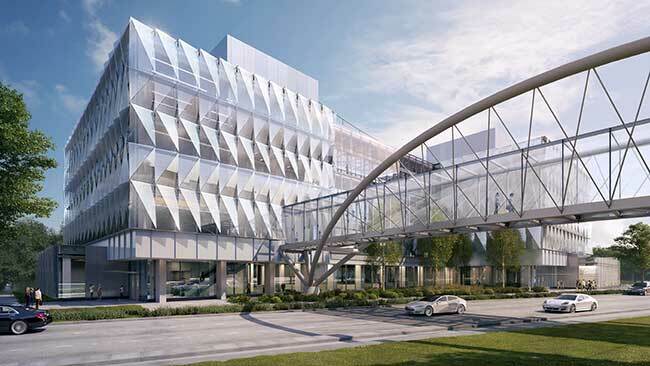 The glass-and-steel building, with a skybridge over Franklin Boulevard connecting to other UO research facilities, creates a stunning gateway corridor between Eugene and Springfield. The north side of the Knight Campus transforms a section of the Eugene millrace from a relic of industry to an inspiring outdoor space. In addition to providing a hands-on, world-class science experience, the Knight Campus also will provide students with professional development training in entrepreneurialism, communication and innovation. 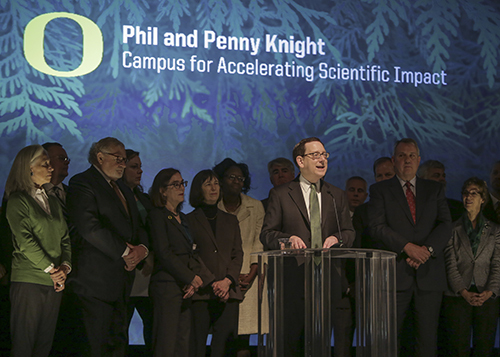 New programming will create opportunities for Oregonians to come to the UO, to do research, to be trained at the cutting edge of scientific careers and to find jobs, many of which will be in Oregon. The breadth of Knight Campus benefits expands beyond the laboratory walls and into the region and state, where its presence will be felt both physically and economically. Over the next decade, it will house more than 30 new principal researchers and their teams and will support an estimated 750 new jobs, representing an estimated $80 million in annual statewide economic gains. Researchers and students at the Knight Campus will tackle global challenges in a world-class space designed to support interactive interdisciplinary discovery. Over the coming decades, the campus will transform the region into a hub for innovation, with research that seeds start-up companies and talented graduates who attract existing industry to the area.